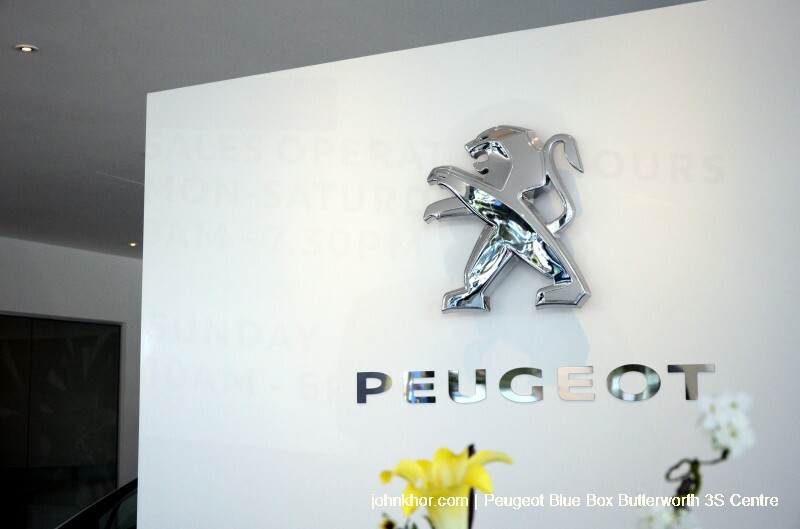 Introducing the Peugeot Blue Box 3S Center. 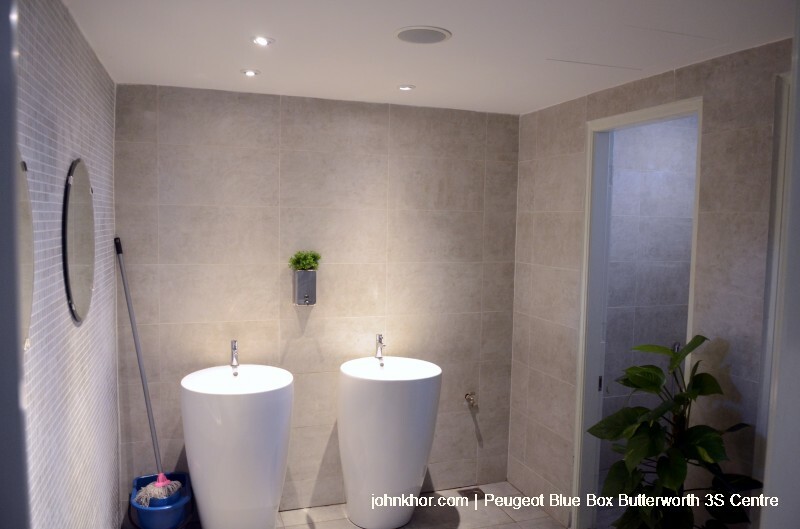 It is situated in the heart of Butterworth. 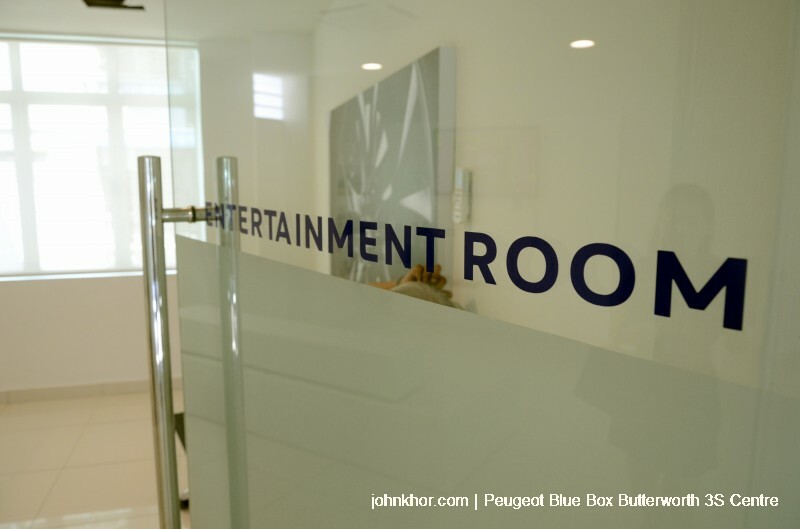 It is very easy to spot as you will notice the ‘Blue Box’ and the Lion logo as you drive along the Jalan Bagan Jermal road. As you entered their clean and contemporary looking building, you will be greeted by ‘the lion’ again. The whole reception area is very brightly lit up. And you will also get to see some of their latest cars. 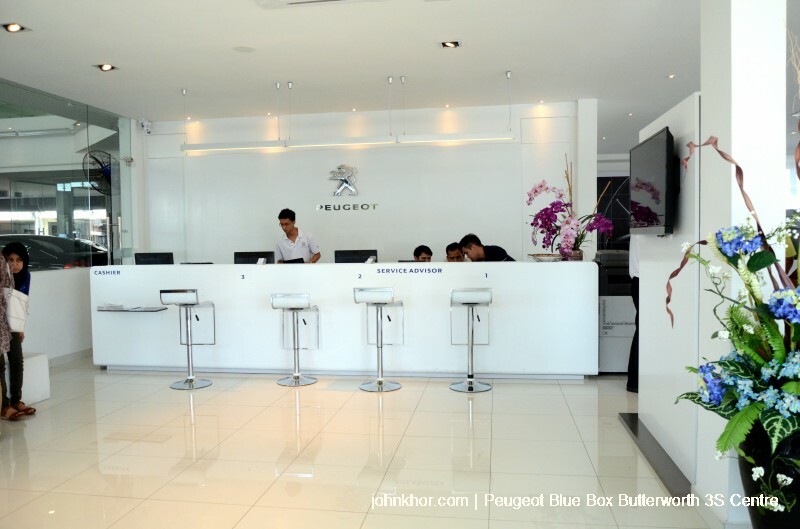 Peugeot Blue Box is a 3-storey building with the 2nd floor as their management office, 1st floor as their showroom and ground floor as their reception area and service area. 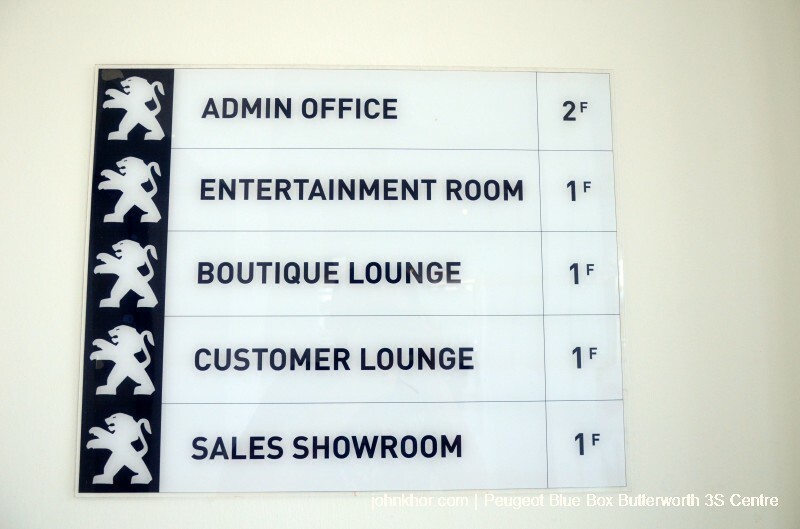 This is the 1st time that I see that the car showroom is on the 1st floor. Luckily you can go up using a lift at the back of the reception area or you can choose to exercise by climbing up the stairs beside the lift too. 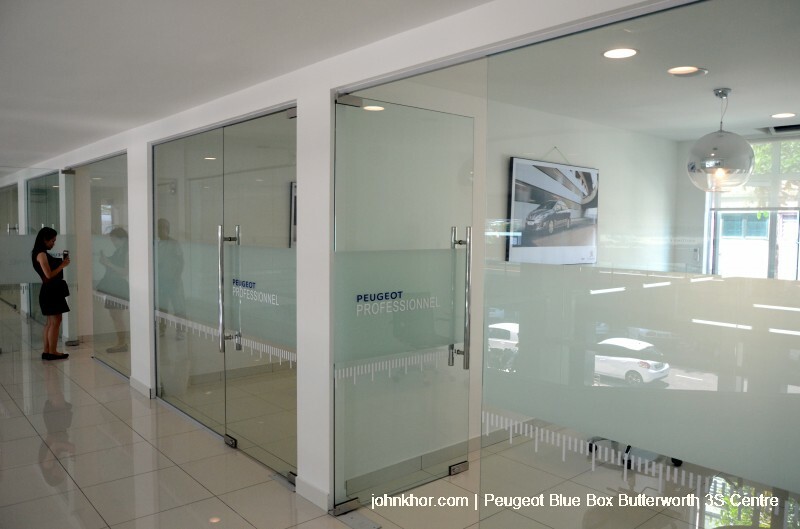 Secondly, Peugeot Blue Box prepared a few rooms called Peugeot Professionals for those of you who need a room for meeting or video conferencing or just need a personal space to do your own stuffs. And the interior is well decorated and brightly lit. A very good place to chill or work while waiting for your car to be serviced. Thirdly, Peugeot really understands customer needs. Customers are always fearful that the technicians might change their parts unknowingly or do anything bad to their cars. So there is always a tendency for customers to periodically go to check on their cars or some will just wish to stand by their cars just to see the technicians do their work. This will disturb the work of the technician and their concentration too. 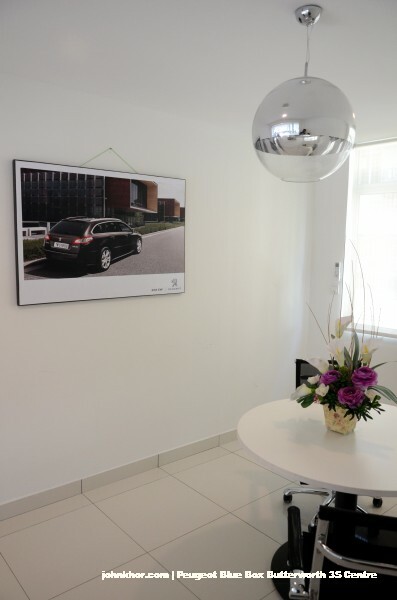 With the big glass on the 1st floor, customers can see and observe the technician’s job without disturbing them. What a good win-win solution. 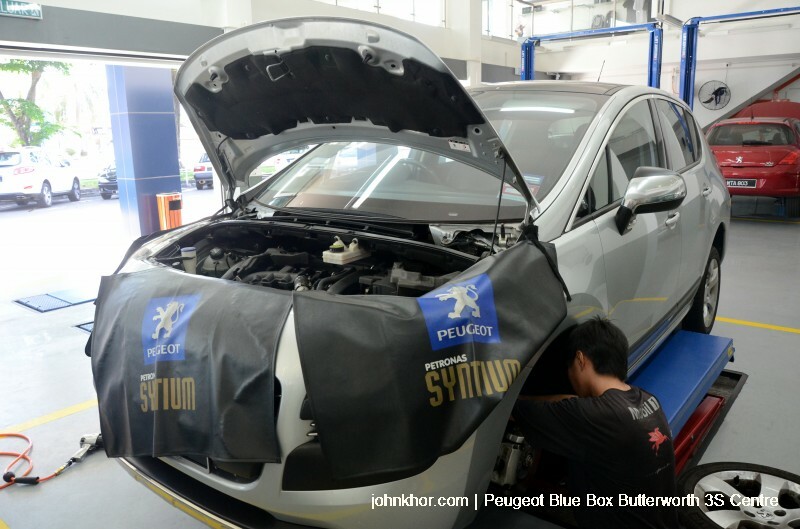 See how well they take care your car while servicing them. Hope that this practice will continue and becomes better. No wonder I am seeing a lot more Peugeots on the road. It has 6 service bays and can handle 23 cars daily by appointment basis. 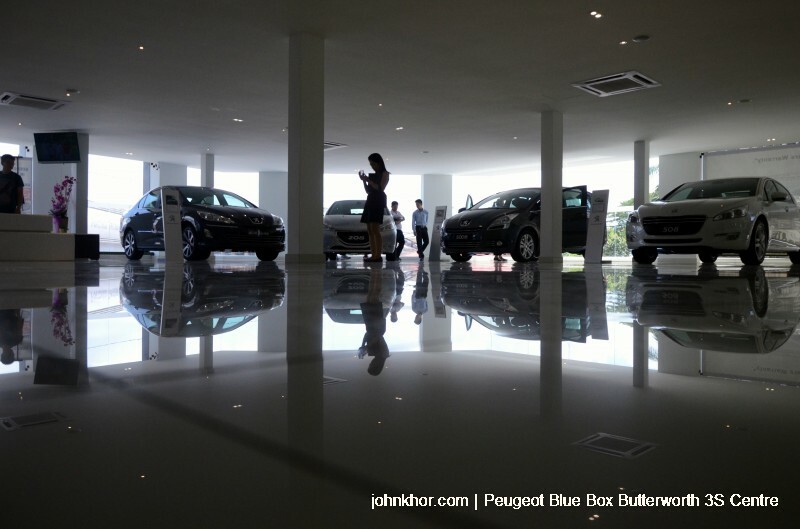 Do call them ahead and book for your car service before driving to Blue Box. 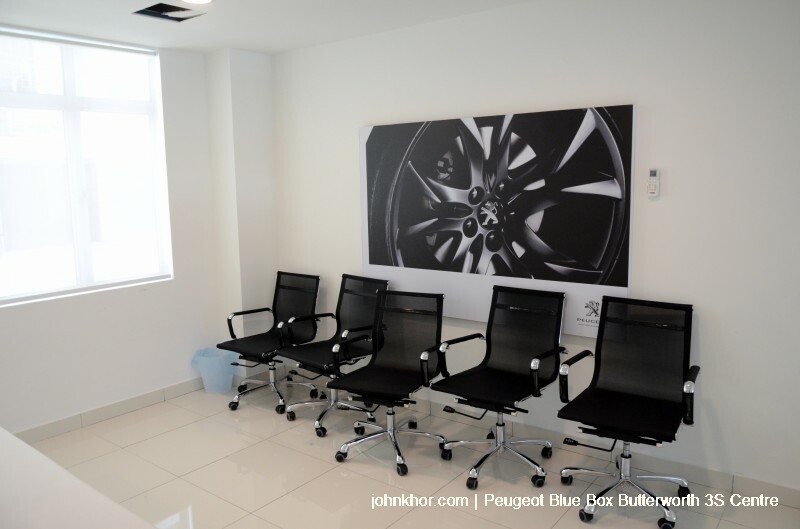 You can also walk-in but you will be handled case-by-case basis and if there is any open slot due to appointment being cancelled or the previous car is serviced ahead of its scheduled time. All the while I will always hear my family members and friend saying that don’t buy a Peugeot because its spare parts are limited and very expensive. Looks like Peugeot listened to this feedback and take it seriously. 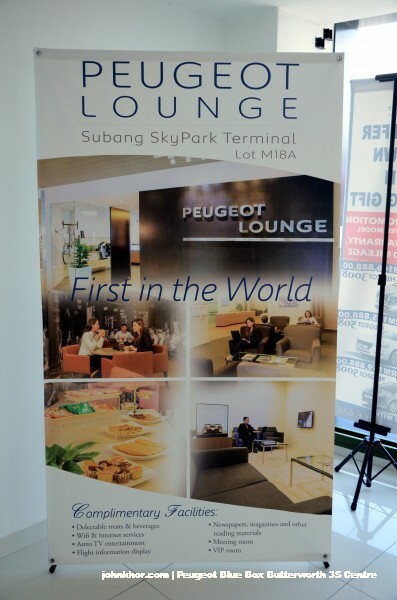 I was told by Mr Ong, our host that now Peugeot manufactured its own spare parts and distributed them across the globe. So, spare parts now no longer a problem. And another great thing when you purchased a Peugeot and staying in Penang Island, you will be paid RM7 to cover your bridge toll. How awesome is that!!! 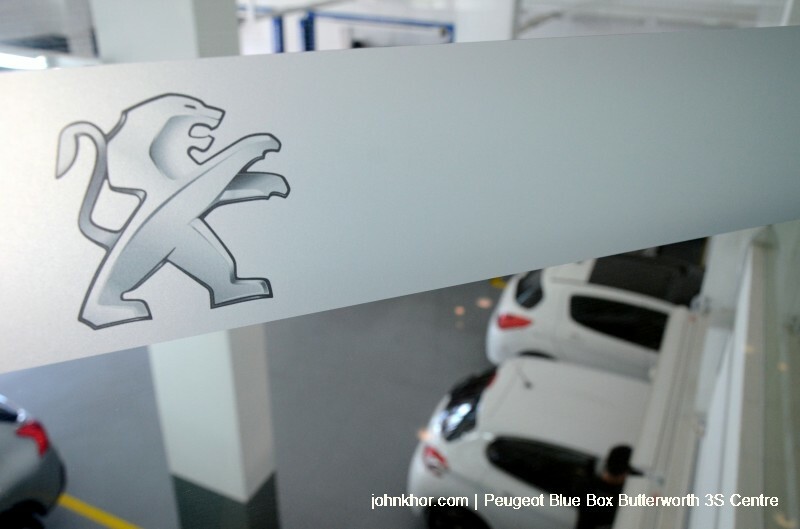 (You must have a Penang Island address registered when you purchased your Peugeot). 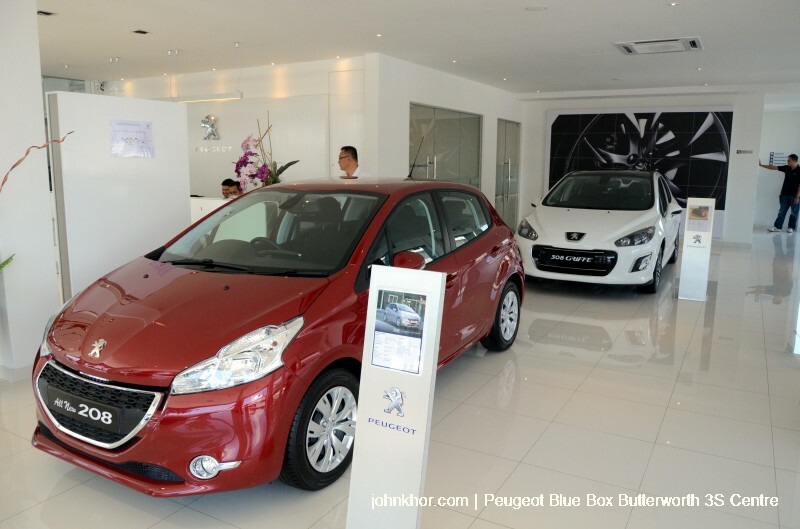 I can sense that Peugeot is very serious in taking back and increasing its market share in the Northern region. Must possess valid boarding pass for outbound flight on day of use. Present Privilege Card or Peugeot car keys. Must be accompanied by Patron. Must possessed valid boarding pass for the outbound flight on day of use. RM50.00 for the 2nd Guest. RM40.00 for the 3rd Guest onwards. 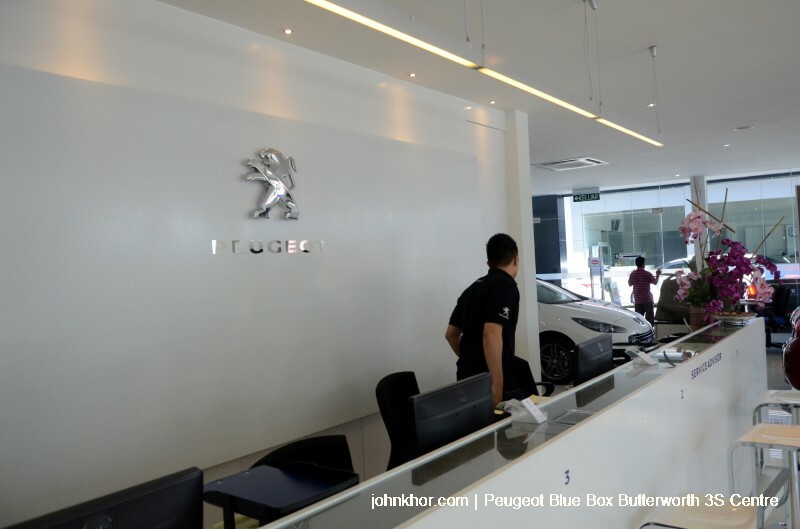 Next story The Launching of Peugeot Club Malaysia Penang @ Peugeot Blue Box Butterworth!!! Previous story [RUMOR] Samsung Galaxy Note 3 Launching on 4th September 2013? !